Like his club, Matera does not have the length of history to match his two compatriots level with him in 99th position, but his statistics are no less compelling. Like Hawthorn’s Alec Albiston, the first player mentioned in this series of articles, Matera came from a footballing family; not in Kew, Victoria, but in Wagin, Western Australia. His two older brothers Wally and Peter both played for West Coast before him although, after two years, Wally moved on to Fitzroy. The three brothers were all born six years apart and Wally played his last AFL game (for Fitzroy) in 1990, the year Peter started at West Coast. Seven years later, Phillip joined Peter at West Coast, and the two brothers played together for another seven years until Peter’s retirement in 2002. In total, the three brothers kicked 671 goals in the AFL and, while Peter played the most games by far of the three, Phillip was the most prolific goal scorer, kicking his 389 goals in only 179 games. It took Phillip a long time to emerge from the shadow of elder brother. 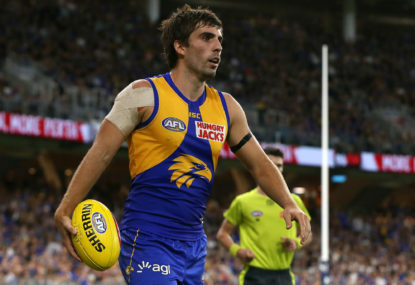 By the time he arrived at the Eagles, Peter had already established a reputation as an outstanding wingman and, after playing only five games in his debut season, finished fourth in the Brownlow Medal in his next year (1991) and made the All-Australian side. 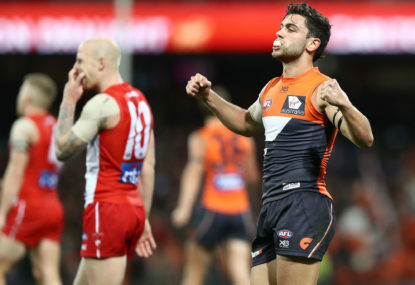 The next year, he played in a premiership and won the Norm Smith Medal. By the time Phillip arrived, he had played in another premiership and been All-Australian twice more. The year Phillip joined him (1996), he again was named All-Australian and followed it up the next year with his fifth and final All-Australian award, while also winning the club’s best and fairest. Against this background, Phillip started his career. 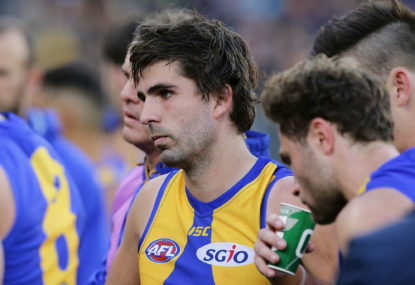 Like Peter, he played only five games in his first season, but quickly established himself as an important member of the Eagles forward line. 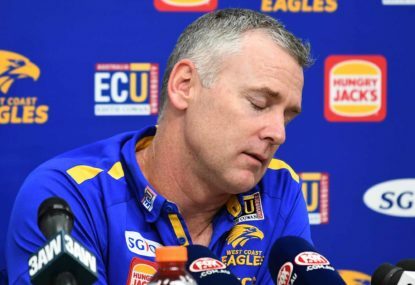 As Peter’s star began to wane, Phillip came into his own and won the Eagles goal kicking in 2000, and again four years in a row from 2002 to 2005. He was All-Australian in 2003, and was a late withdrawal from the 2005 Grand Final in which Sydney beat the Eagles by four points. 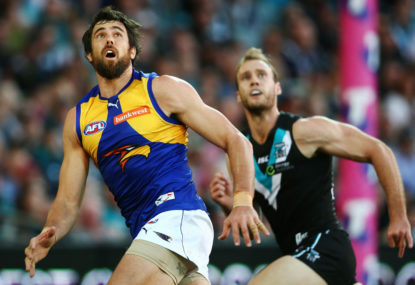 A small forward (he stood ten cenitmetres shorter than Peter and 11kg lighter), his goal kicking ability was legendary, and he remains the fourth greatest goal kicker for the Eagles 13 years after he retired. 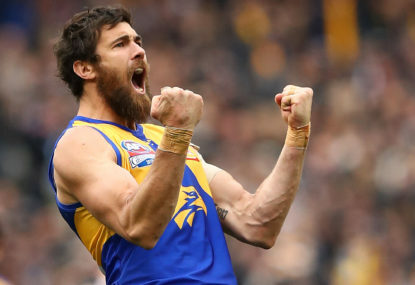 His one challenger, Jack Darling, would need a stellar season in 2019 of 70 goals to dislodge him. His brother Peter lies in ninth position on the list. With Wally’s son Brandon plying his trade at Fremantle after a career at Gold Coast, the Matera Dynasty will continue, even if there are no AFL top 100 goal kickers at the end of season 2019.